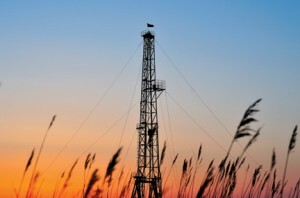 The oil and gas industry last week agreed to a compromise rule on setbacks, and energy regulators made it official with a vote that new wells must be at least 1,000 feet from any outdoor area used by schools. “Today’s rulemaking is a direct result of good-faith compromise and collaboration, and we appreciate the partnership that helped move this effort forward,” said Tracee Bentley, director of the Colorado Petroleum Council. How did our radical friends on the far left view this major agreement? With complete disdain, and threats with more setbacks. Opponents of energy will never be satisfied until they can pass rules that will set wells so far back it can never reach oil or gas. They won’t be happy until wells are setback all the way to Wyoming, or perhaps Nebraska. Kansas is also looking pretty good to them. Environmentalists spat on the effort, and said they will lobby the new Democrat-controlled legislature for more regulations, or take their battle to the ballot box, again. We applaud the industry and regulators for coming together to find compromises. But as long as environmentalists are paid to be lobbyists against all energy development and use, we fear this battle will never end until we’re all sitting in the dark, rubbing sticks together to keep warm.